The Partition of the Indian subcontinent in 1947 unleashed an absurd saga of irrational violence and mass migration and altered the civilizational history of South Asia. The fictional oeuvre of Intizar Hussain (1925-2016), one of the greatest Urdu writers, and undoubtedly a world writer, is as enmeshed in the cataclysmic events of the Partition, as his own life was. Born in Dibai, in Uttar Pradesh, Husain migrated to Pakistan in 1947, an event left an indelible mark on his creative self. Written in the backdrop of the Partition, Intizar Husain’s stories are attempts to fathom the meaning of existence and the myriad ways in which external events exert themselves upon existence. Abandoning the linear framework in favour of an elliptical and complex structure, Hussain sails through the three dominant narrative traditions, Indian, Perso-Arabic and Western to tell his tales. Among the Indian traditions that Intizar Husain draws from, the Jātakas occupy a central strand. At one level, several of Intizar Husain’s stories such as “Leaves” (Patte) and “Tortoise” (Kachhwe) are a direct retelling of the Jātakas. These stories provide us with an insight into the current events. The trauma of exile experienced by the author is resonated in the exiled bhikshus. The latent timelessness in the stories allows us to see the here and now in the light of always already there. But on a broader plane the ethical fabric of the Jātakas permeate the moral universe of Husain’s fictional work. Never rattled by the upheavals caused by the wheel of history the Buddha, according to Intizar Hussain, tells stories. His stories, drawn as they are from the experiences of his past lives, together may be called his life-history. But first and foremost they are stories. All lessons of morality or other elements are purely incidental to them. Like his Buddha, Intizar Husain’s stories too are first and foremost stories. Elements of nostalgia, engagements with the vexed and knotted histories of Hindus and Muslims and the understanding of Muslim identity are only one facet of them. Diving into these labyrinths the author hopes to recuperate a world which is not man-centric and which holds possibilities of the good and the moral. Husain’s fiction is also influenced by and enacts the element of circularity that marks the Jātaka tales whereby each tale stands on its own while it also forms a part of chain and « transcends itself to create some higher meaning ». This article explores the various ways in which the tapestry of Jātaka tales is interwoven in the fictional fabric of Intizar Hussain and argue that they become a significant tool in the writer’s quest for meaning in the time of moral crisis caused by the Partition. 1The Partition of the Indian subcontinent in 1947 unleashed an absurd saga of irrational violence and mass migration and altered the civilizational history of South Asia. Partition historian Mushirul Hasan points out "Nobody knows how many were killed during Partition violence. Nobody knows how many were displaced and dispossessed. What we know is that, between 1946 and 1951, nearly nine million Hindus and Sikhs came to India, and about six million Muslims went to Pakistan…Estimates of deaths vary between 200,000 and three million. "(36) While the physical loss has been quantified by the historians and social scientists, the accompanying emotional trauma and suffering and the concomitant moral depravity were immeasurable as Ismat Chughtai (1915-1991), a leading progressive writer of that period, writes: « It wasn’t only that the country was split in two-bodies. Minds were also divided. Moral beliefs were tossed aside and humanity was in shreds » (qtd. in Hasan 26). 2The fictional corpus of Intizar Husain (1925-2016), which includes several anthologies of short stories, four novels, plays memoirs, and essays, is as enmeshed in the cataclysmic events of the Partition, as was his own life. Born in Dibai, in Uttar Pradesh, Husain migrated to Pakistan in 1947, though not under any ideological pull or political or social pressure but simply at the behest of his preceptor, Muhammad Hasan Askari. However, having once arrived in Pakistan, Husain tried to explore the event’s potential creativity and so he chose, « to salvage whatever of that [pre-partition] culture, if only by enacting it in literature. To preserve a memory, however fugitive, of that culture before time and history have placed it beyond reach » (qtd in Hasan 52). In his stories, he sets out on this perilous journey of recuperating and preserving the memory of that cultural past that sustained the civilization in the subcontinent through the millennia. 3Written in the backdrop of the Partition, Intizar Husain’s stories attempt to fathom the meaning of existence and the myriad ways in which external events exert themselves upon existence. Resonating Buddha’s words, « this is not the only time when this has happened. It has happened before », Husain abandons the linear framework in favour of an elliptical and complex structure, as he sails through the three dominant narrative traditions, Indian, Perso-Arabic and Western to tell his tales. Among the Indian traditions Intizar Husain draws from, the Jātakas occupy a central strand. 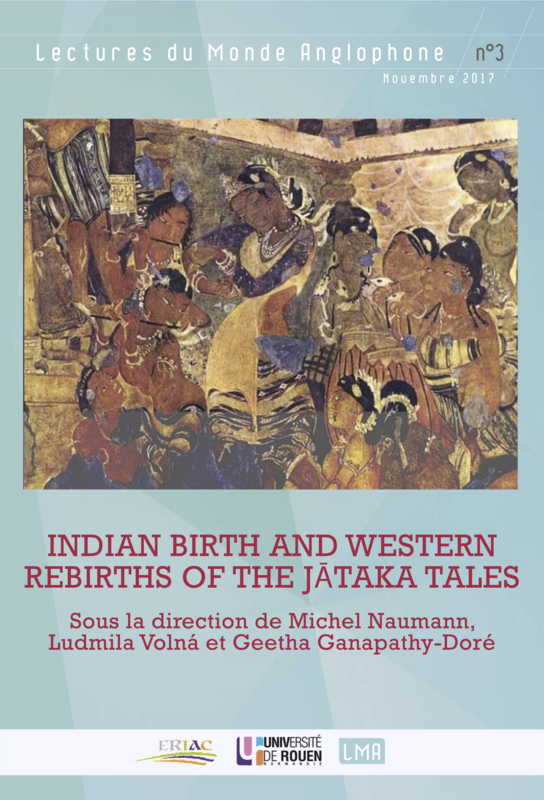 My paper explores the various ways in which the tapestry of Jātaka tales is interwoven into the fictional fabric of Intizar Husain and argues that the Jātakas become a significant tool in the writer’s quest for meaning in the times of moral crisis caused by the Partition. 4I suggest that there are at least three levels at which the narrative world of Jātaka is replicated in the stories of Intizar Husain. Firstly, many of Intizar Husain’s stories are a direct retelling of the Jātakas without any modification such as « Leaves » [Patte], « Monkeys », and « Tortoise » [Kachhwe], etc. Secondly, there are stories which are drawn from the Jātakas but do not adhere to their structural exigencies. In either way, these stories provide us with an insight into the current crisis. On the third and a broader plane, I argue that the ethical fabric of the Jātakas permeate the moral universe of Husain’s fictional work, a proximity that Husain himself was conscious of, and perhaps the reason why he declared unabashedly, « I write Jātaka. Whether my stories fall into the category of Nai Kahani or not, I don’t care » (« Naye Afsananigar Ke Nam » 131) and chose to title his complete works Janam Kahaniyan or birth stories (an obvious Buddhist slant). In allegorising his “self”, Husain was privileging the poetic idiom of mythos over logos, a function performed by Jātakas in their privileging of story over sermons. Accordingly, my paper is divided into three sections. In the first section titled « Raking the Ashes: The Man and his Stories », I attempt to introduce Intizar Husain and his literary world. The second section « Thus Spoke Tathagata » deals with the first two aforementioned usages of Jātaka and the third section titled, « Janam Kahaniyan: The Husaini Jātaka » deals with the ways in which the fictional universe of Intizar Husain approximates the Jātakas. 5The carnage of Partition and the subsequent displacement left a generation of writers bewildered and shocked and they responded to it by recording this sordid saga of human pain and suffering in all its goriness. While Saadat Hasan Manto, Bhishm Sahani, Krishan Chandr, Kartar Singh Duggal, Amrita Pritam, Rajinder Singh Bedi were busy chronicling the brutality and carnage unleashed by religious antagonism and politically vitiated atmosphere of soaring and fiery passions, Intizar Husain took an entirely different view of the experience. The questions that bothered Intizar Husain were no different from the ones that intrigued Jawahar Lal Nehru who alluding to the communal violence that preceded Partition, wrote in his letter to Krishna Menon, on 11 November 1946, « It is extraordinary how our peaceful population has become militant and bloodthirsty. Riot is not the word for it –it is just sadistic desire to kill » (qtd in Hasan 36). 6The problems that troubled Intizar Husain were not the narrow ones concerning communal conflict, political contingencies, or historical immediacy but rather the larger and deeper ones about the possibility of violence in human nature. Intrigued by these questions that Muhammad Umar Memon calls» anthropological »1, Husain acknowledged, « I felt a sense of anxiety, as if something were slipping through my hands » (qtd in Memon « The World » 11). Appalled at the grotesqueness and savagery that lay embedded underneath the veneer of the human civilization and erupted at a slightest scratch of political turmoil, Husain abandoned his aspiration of a career as a critic and turned instead to fiction for when theory based on rational principles fail, stories unravel and lay bare the complexities of existence. Finding that world around him was in flames, he sat down to rake up the ashes of the past, as Ghalib says in the couplet, a line of which is used by Husain as an epigraph to his Memoir, « Jala Hai Jism Jahan Dil Bhi Jal Gaya Hoga / Kuredte Ho Kya Ab Raakh Justuju Kya Hai » (« When my body was consigned to flames, my heart too would have annihilated / Why are you raking the ash, what is it that you desire ».) And once he began digging, layer after layer, the memories of the past began to unfold. 7Husain’s stories traverse across the realms of the individual, communal, civilisational and mythic past. His critics have divided his oeuvre into three phases2: In the first phase of the 50s, he wrote stories soaked in nostalgic remembrance of pre-partition life in India where Ayodhya and Karbala, Lord Ram and Imam Husain, seamlessly formed the mental scape of the writer as in anthologies like Gali Kuche and Kankari and the novella Din. The second phase of the 60s witnessed Husain drawing from other South Asian narrative traditions like dastan, qissa, katha as in his collections Akhiri Admi, Shahr-i-Afsos, Kachhue, etc. Stories in this phase are interspersed with a strong intertextual presence of Alf Lail wal Lail, Sufi Malfuzat, Kathasaritsagar, Upanishad, Bible, and the Buddhist Jātakas. In the final and the latest phase of his writing beginning with 70s Husain’s writings became more abstract. Stories in this phase such as « Vo Jo Kho Gaye Hain » have characters bereft of temporal and spatial markers and deal with the moral degeneration of man and the erosion of values. Notwithstanding these thematic or technical variations, the underlying mood of Husain’s stories remains consistently the same as he stays focussed on exploring a morally bankrupt world devoid of moral certitude, self-critical insights, and meaningful existence. 8Intizar Husain read the stories of Jātaka through various Hindi and Urdu renderings of these tales and was mesmerized by them. He sums up the experience thus « A vagabond, it is my predicament to wander across the lands and times. For so long, I have wandered between Ayodhya and Karbala to find out what sufferings do the good human beings undergo when they are forced to leave their town, what sufferings does their basti undergo? In my wanderings, I strayed into the world of Mahatma Buddha’s Jātakas and I was astonished, Ya Maula, what world is it where man survives through countless ages, and in countless forms? » (« Naye Afsananigar Ke Nam », 129). 9Thus began Husain’s tryst with Jātaka and he wrote stories where he rendered the Jātakas without much modification. His stories « Kachhue » (Tortoise), « Patte » (Leaves), « Monkeys » (Bandar), « Wapas » (Return), are such. While the Jātakas retold in these stories remain unaltered for instance the garahika Jātaka i.e. the Jātaka of good monkeys, and the Jātaka of clever princess in the story « Leaves », Radha Jātaka, Padakushala Manava Jātaka, and Kachchapa Jātaka in the story « Tortoise » and Kukkura Jātaka in the story « Return ». What is interesting in Husain’s delineation, however, is the way in the wake of an altered context of contemporary readers, these stories have been re-configured through the frame stories which attempt to comprehend what happens when people continue to tell these tales in new contexts. 10The context of frame stories in Husain’s renderings is almost invariably a world where in the absence of the benign figure of Buddha, the bhikshus suffer moral depravity, and in spite of their awareness of the good, the Jātakas fail to direct their karma to the path of the good and the moral. The story « Leaves » blends the Jātaka and the avadana structure3 in a circuitous structure of story within a story as it narrates the plight of Sanjay, a bhikshu who, enchanted by a beautiful woman of Shravasti, loses his inner peace. Anand tries to rescue him from his moral crisis by telling him the story of Sundersamudra who experienced a similar crisis. The two Jātakas, « The Story of Good Monkeys » and « The Story of Clever Princess » are recounted to Sundersamudra by Tathagata to rescue him from his fall. The story ends with Sanjay’s resolution to shun the world of passion and physical charms. Despite a momentary insight gained from the Jātakas, he eventually finds himself morally weak and helpless in the face of maya or worldly attractions. 11In the story « Tortoise » strings together five short Jātaka tales in the frame story of Sundersamudra and Gopal the two bewildered bhikshus who are deeply perturbed by the general decline of morality among the bhikshus and go to Vidyasagar, the meditating bhikshu and complain to him that after the departure of Tathagatha, the bhikshus have lost their path. They are lead astray by Subhadra and have given in to their desires and are lost in pursuits of pleasure. In the process of giving wisdom to these bewildered bhikshus, Vidyasagar tells five jataks, the birth stories of Buddha, wherein the Bodhisattva was born as a parrot, a mynah, a monkey, a tree, the son of a witch [padakushalamanava Jātaka] and an advisor to the king. The title of the story is drawn from « KachhapaJātaka », the last of five recounted by Vidyasagar in which Buddha was born as an advisor to a king who was very talkative. To teach him a lesson, he showed the tortoise who had befriended two mountain dwelling wild geese and when the lakes began to dry the geese offered to take the tortoise to the mountain. They held a stick on both sides and asked the tortoise to hold it firmly between his teeth and told him not to open his mouth. When they flew over the town, the children who saw the scene began to shout. The angry tortoise couldn’t help reacting and fell in the King’s palace compound. However, unlike the Jātaka kathas wherein the Buddha’s rendering of tales paves the way for the dawn of wisdom among the listeners, guides them in their confusion and brings clarity, in Intizar Husain’s rendering, clarity is a far cry. The poly phonic tales about eclectic living forms, not only fail to enlighten the two bewildered bhikshus, Sundersamudra and Gopal who one by one return to the ephemeral world of desire, they also offer no solace to the wiser one, Vidyasagar, who stands divided between the attachment and detachment wondering, « O Vidyasagar, have you acquired knowledge or have you been fooled by Mara? » (78). Vidyasagar’s perplexity and confusion echo the perplexity and confusion of the Muslims who envisioned a separate nation based on religious solidarity, only to realize later that religion could not unite them. 12The story « Monkeys » is based on Garahika Jātaka about a clan of monkeys who lived in a forest far, far away from human habitation and had never seen a man. When they learned about this strange creature that did not have a tail from a fellow wise monkey, they were so shocked that they deserted the forest where they had heard about this creature and resolved never to mention him. But this end of the Jātaka does not satisfy the narrator who, intrigued by what happened next tracks the good monkeys of Garahika Jātaka beyond the ending of the Jātaka only to discover to his horror that the monkeys fail to quell their curiosity and in their desire to be like men, eventually begin to cut their tails. When the wise monkey gets to know of this, he weeps for he knows what awaits the fate of the monkeys. Like men, they will first cut off their tails and then each other’s throats. He leaves the dwelling of monkeys and goes away to live in a far off place with his mouth closed, eyes shut and hands on his ears. This story thus uses the Jātaka as the base narrative to dwell on the inevitability of change and explore the suffering that it brings. 13In the story « Wapas » or « Return », Agrasen tells two Jātakas to the bhikshus around him who are deeply depressed by the savagery in mankind. In the first Bodhisattva born as a wise dog rescued the dogs of the burning ghat by telling the king that the real culprits were the dogs of the palace and not of the burning Ghat. In the second Jātaka, Bodhisattva born as a prince in Benares defies the tricks and beguiles of greedy ministers by his wisdom. Even after listening to these Jātakas, one of the bhikshus Govind remains distressed that when Buddha was alive, he could elevate the character of dogs making them worthy of human birth whereas now, men are not worthy of their human form as they are degraded by the savagery within. Convinced that his rightful place was among the inhabitants of burning ghat, despite Agrasen’s efforts to dissuade him, Govind sets off for the burning ghat of Benares. Once again, the Jātakas offer no solace and story-telling does not alter the ontological crisis. 14Husain’s most influential work, his novel Basti, returns to the Jātaka which is as much a part of the memory of its central character Zakir, as the stories of The Mahabharata or The Ramayana told by bhagat ji or Islamic history by his father Abba Mian. Zakir is a history teacher in Pakistan whose family migrated there in 1947. Written in the backdrop of 1971 Bangladesh war, and arguably the best novel on Partition, Basti has what Umar Memon has described as « an hourglass like structure, comprising chapters one to six and eight to eleven held together by a slim waist, chapter seven » (Introduction viii). Not surprisingly the first Jātaka is wedged in chapter seven that deals with the twelve days of the Bangladesh war and the other two in the last chapter, and the final word in the novel belongs to Buddha. Filled with noise, moral turpitude, curfew, chaos and destruction that accompany the news of war arriving from all directions, in the way of the fall of Dhaka, Zakir’s friend Afzal recounts a Jātaka of a wild goose that does not abandon the burning sandalwood tree because it had been very happy in the shade of this sandalwood tree all life and asks if it was right for him to run off and leave it in its time of trouble? « The Buddha told this story, then looked around at the monks, and said, ’Oh monks! Do you know who that wild goose was? I myself was the wild goose » (Basti 158-9). This Jātaka questions the decision of those who migrated to a new country in the hope of greener pastures. 15Following this Afzal declares that he is the Buddha who would not leave his city. This contrasts with Zakir’s father’s decision to leave home in 1947. The ongoing turbulence of curfew and chaos once again takes the characters back to Buddha and his Jātaka in the last chapter which is a surrealist melange of historic time and the mythic time, with polyphonic voices, multiple speakers, varied time frames, myriad eschatological references, all pointing towards man’s helplessness in times of crisis. The Jātaka retold here is the famous tiger and jackal Jātaka with the concluding wisdom that "when jackals speak, then tigers fall silent." Then Buddha’s words, « Oh monks men and women are children in a fiercely blazing house » are followed by the Quranic verse, « I swear by Time, man is surely in loss » and the Biblical, « Clouds that have rained themselves out, never rain again… » (201). The novel closes with the protagonist and his two friends admitting in silent resignation that "there are no virtuous men" and waiting for the signs. 16Apart from these direct renderings of Jātaka, there are stories like « The Brahmin Goat », based on the Jātaka sans its structure. There are also stories like « The Yellow Dog » where the Jātaka narrative structure is interwoven with Sufi Malfuzat to delineate the yellow dog of desire that haunts the characters. The structure is a replication of the story « Tortoise ». While « Tortoise » strings together five Jātakas within the frame narrative of Vidyasagar and his fellow bhikshus, Sundersamudra and Gopal faced with a moral crisis, in the story « The Yellow Dog », the hagiographies, revelatory sayings Malfuzat and parables of Sufi saints like Sheikh Abdul Saeed, Sheikh Ahmad Hujri, Sheikh Ali Jazairi and Sheikh Abu’l Abbas Ashqani are woven together in the frame narrative of Abu Qasim Khizri, a Sufi aspirant, his Master Shaikh Usman Kabutar and his other disciples, Razi, Abu Muslim Baghdadi, Hamza and Habib. Like the bewildered bhikshus of Husain’s Jātakas, while the other disciples of the Sheikh succumb to the worldly desires and temptation, the protagonist understands the lesson taught by his master but does not know how to act correctly. 17The Jātakas thus retold by Husain, both in their direct renderings as well as the embedded ones, not only shed light and clarity on the contemporary chaos, but also gain new meaning in the present context. Their tranquil forests, green trees, sounds of parrots, mynahs, pigeons, peacocks, geese, monkeys, tigers, all heighten our sense of the sound and fury of war and violence that surround us, the bhikshus in Husain’s rendering of the Jātakas remain as confused and helpless in face of the temptations of desire as the modern man, their moral world remains as challenged as ours. The objective of the Jātaka is not to impart knowledge of abstract doctrines of Karma, but to lend imaginative insights which may move people to action in the right direction. However, in the absence of the univocal and unambiguous truth embodied in the redemptive figure of the Buddha, the bhikshus remain in the state of perpetual dilemma, and it is here that Husain’s twist to his apparently unchanged retellings of the Jātaka can be noticed4. Transplanted in the modern world, beset with rational principled that strip man of his mythic past and render him lonely, Husain’s Jātakas underline the breakdown of communication and moral void faced by his generation. 18Intizar Hussain got exposed to the Jātaka tales late in his career. But once he did get to read them he noticed strange rhythms of similarity between the moral universe of the Jātaka and his own mode of storytelling. He says, « Mystified I wandered in the world of Jātakas, wondering if my story too is the story of my past lives. In so many of my past births, I passed through so many bastis and settled at so many places ». (« Naye Afsananigar » 129) Rejecting the labels of Dastan fiction or New Fiction as given by critics like Baqar Mehdi, Husain insisted that if the critics were so interested in labelling his stories, they could label it as Jatak Kahani. To facilitate it he himself titled his complete works « Janam Kahaniya » or Birth Stories. The correspondence between Husain’s fictional universe and the narrative world of Jātaka can be deciphered in more ways than one. They both take recourse to memory and nostalgia to illuminate the path to future. Circularity, repetitiveness, incompleteness, are some of the features common to both. They both share the same ethical and moral code whereby they acknowledge the inevitability of change, and reject hierarchies and any privileging of the self over the other. There is a clear correspondence between their views of the secular which is different from the one upheld by Western modernity. 19Speaking of the genre of Jātaka, Naomi Appleton quotes Sutta Pitaka which point out that the Buddha had three different realizations in three watches of the night in which he became awakened. In this, the vision of previous births is the first step that Bodhisattva takes in his awakening to Buddhahood5. Thus inward journey is the first step in Bodhisattva’s awakening to wisdom, a journey that takes Buddha to his own past. Appleton suggests that this part of the awakening might be seen as the beginning of the idea of Jātaka story. Memorializing of the past by Buddha must have appealed to Intizar Husain also because what prevailed around him was a vast wilderness of a meaningless universe. 20As a migrant to Pakistan, a nation founded on religious solidarity, Husain was intrigued by the pressing questions of history, identity and culture of his new country. Unlike others, Husain refused to see a contradiction between his Muslim identity and the Indian cultural past he had inherited, for he believed, « What a purely Islamic culture would be, I don’t have any idea. It is this Indo-Muslim culture of which I am a product and which has shaped the history of which I am a part » (qtd. in « The World of Intizar Husain » 12). Puritans who attempted to wipe out this history disappointed Husain as he writes, « If we were a different nation [from India] then what was our national and cultural identity? Where did we trace the beginnings of our history from? We could certainly trace it from the advent of Muslims in the subcontinent, but how about the eras before that? Wasn’t the ancient period a part of our history? What were our relations with Muslim history and its traces all over India? Where were our roots? » (Introduction, Pakistani Kahaniyan) However, the political developments in Pakistan proved frustrating, and Husain gradually began to feel that the « great expectation that we had of making something out of it at a creative level and of exploiting it in developing a new consciousness and sensibility – that bright expectation has now faded and gone » (qtd in Memon, Ibid, 14). My brother, what is this fuss about new and old? Past and present, times bygone and current— what divisions are these?... The entire history is a living present…breathing in humanity. When I began writing stories in memory of the basti I had left behind, my seniors pitied me « poor fellow, suffers from nostalgia » as though nostalgia was some sort of disease. The more my friends admonished, the more my malady intensified. From the memories of my basti, I switched to the memories of the times before I was born and about which I had heard from my grandmother, then to her times…slowly several past moments spread over the fourteen hundred years of Islamic history became a part of my imagination. Then it so happened that the thousands of years of the civilizational past captured my imagination. All days, all eras are submerged within us. In our narrow mindedness we kill them, turn them into the past and bury them inside. There is cemetery within us where countless presents are buried as past. I am obsessed to conjure those buried pasts through the power of stories and assimilate them back into our tiny living present (132). 22Husain’s view of time, inspired by Buddhist Jātaka, allowed him to connect the encompassing Islamic moral order with the cultural and political specificities. Speaking of the modern stories, Winquist writes, « What is absent in many stories is a content of positive affirmation. What is present even in relating a story of nothingness is a positive act of affirmation ».(103). Thus elegiac they may be, Husain understands that « man’s life is ultimately rendered meaningful by being incorporated into a story » (Sam Keen qtd in Winquist 104). 23It is in this sense that Husain thinks of Buddha as a genuine storyteller who doesn’t mingle the demands of his other role i.e. preacher with his role as a story teller. Husain says, « Mahatma Buddha is a pure story-teller here. He doesn’t use the stories to preach. His sermons are separate. If some moral lesson emerges from the story, it is purely incidental. Mahatma Buddha is only telling a story. Or is narrating an incident from his previous birth, which is a good story in its own right. Here the formula of appending a moral lesson or a message to a story does not apply » (« Reason and Purpose of Jātaka 231). Husain was strictly against perceiving fiction as an agency of reform. He believed like the character in his story « An Unwritten Epic », « What is this animal called “constructive literature”?… I have yet to come across “destructive literature”. If literature is not destructive so how can it be constructive? » (10). Thus fiction, by putting language to its ontological use, opens up perspectives that the author may not otherwise be aware of. It also allows the writer to transcend the moment of doubt and despair from which there seems to be no exit otherwise. 24T. W. Rhys Davids, one of the earliest scholars of the Jātaka has identified the Jātaka tales that either come from other cultures or have travelled from the Buddhist tradition to other cultures. Intizar Husain reiterated the same when he said, « Story is a vagabond ». This also echoes Roland Barthes, who said that narrative is « simply there like life itself… international, transhistorical, transcultural…it is translatable without any fundamental damage » (79) in a way that a lyric poem or a philosophical discourse is not. Thus while human experiences are context bound, narratives transmute them into structures of meaning which are human rather than culture-specific. Hayden White explains it thus, « far from being one code among many that a culture may utilize for endowing experience with meaning, narrative is a meta-code, a human universal on the basis of which transcultural messages about the nature of a shared reality can be transmitted » (1). Hussain voices similar sentiments when he says « I began to doubt whether there was some fundamental flaw in the making of the Indo-Islamic culture that a yellow dog was born out of its womb. In my anxiety I turned to other cultures and began to visualize, when I was monk in the Buddhist order what was I doing after the Buddha closed his eyes. If God gives me the strength I would like to travel the long paths of various cultures of the world and see, at what junctures in their journey from sacks to rugs does the yellow dog appear and when do they fail to hold on to the stick » (« Naye Afsananigar » 131). Husain’s story « The Boat » is a fine example of this where he has interwoven a legend about the great deluge as present in Judeo-Christian, Islamic texts, Hindu and the ancient Babylonian epic. 25The universality of pain and suffering that Husain discovered in his fictional journey resonates with Buddhist realization. If in the first watch of the night, the Buddha envisioned his previous births, in the second watch of the night he saw the effects of actions and finally in the last watch of the night he gained the knowledge of the destruction of the defilement. Supporting the efficacy of the inclusion of “the memory of past abodes” in Buddha’s awakening, Appleton quotes Lopez, « The bodhisattva sees the past and the present order of the world in the first two watched of the night but when he sees that the ordered world has no essence he is awakened » (46). This realization of the Buddha echoes the Quranic, « Man is surely in a loss » or the saying of Hazrat Ali that « In my view the the glamour of a vicious life of yours is no better than the sneezing of a goat » (Sermon 7 Nahjul Balagha). As a twelver Shia Muslim, this must have appealed to Intizar Husain who moves from personal to historical to metaphysical across cultures and traditions to reaffirm his faith in the universality of suffering and the absolute necessity of righteousness of action and the good and the moral for achieving inner peace. 26Just as Jātakas are canonical by virtue of the presence of Buddha and the Buddhist ethics, yet secular for these ideals are available to all, likewise, in Intizar Husain’s writings, his identity as Shia Muslim is the reason for his secular ideals. Critics have seen a contradiction in Husain’s deep roots in his Shia ethos, his fascination with Islamic history and his near obsession with the Ganga-Jamuni Tahzeeb or the composite culture of pre-Partition India. What they don’t realize is that like the Jātaka, Husain’s idea of the secular is not the same as defined in the Western modernity, wherein religiosity is seen as contrary to the secular. In the novel, Basti Zakir’s Maulana father tells his children « Bhagatji is good because he is religious » (38). There is no antinomy between religiosity and secularism for Husain. It is his identity as Shia Muslim born in the Indian subcontinent that propels him towards possibilities of inter-faith and intercultural dialogue. Husain’s religious beliefs are not tied to the authoritative juridical Islam and its dogmatic practices. He rather draws from the registers of alterity such as Sufism and Shia traditions of mourning and memorializing. In his emphasis on the spiritual and moral experience that religion brings to bear upon life, Husain finds a natural ally in Buddhist ethics which hail spirituality and moral experience above all dogmas. 27Husain was fascinated by the circularity of the Jātakas tales whereby each tale stands on its own while it also forms a part of a chain and “transcends itself to create some higher meaning”. As he said « These stories are distinctive, yet connected to each other. Individually they stand as stories, but strung together they constitute a circular narrative. Each story provides, through some creature, an insight into an aspect of life. Collectively, these stories transcend themselves and create a higher meaning » (« Reason and Purpose » 231). The same has been said about Husain’s own fictional world which enacts the element of circularity. Intizar Husain celebrates this circularity in his stories like « Circle » (Daayre). The story is a dialogue with his first published story “Qayyuma’s Shop” with the author wondering if he should rewrite the story having gained insights by experience. The story is a reincarnation of themes and ideas through which the dark moment of moral crisis is negotiated, and the story writer finds his way out of the labyrinth of degeneration and decay. 28The narrators in Husain’s stories, like the bhikshus or even the Buddha himself, are peripatetic, wandering seamlessly through cities and forests, dreams and reality, days and nights, light and dark and amalgamating residues of each of these selves within their beings. This is a replication of Jātakas where Bodhisattva born as a monkey among monkeys or partridge among partridges partakes of the sorrows of all the creatures of the universe, lives the style of storytelling and with the end of every story his life too comes to an end. The trauma of exile experienced by the author is resonated in the exiled bhikshus. The latent timelessness in the stories allows us to see the here and now in the light of always already there. 29Referring to the co-existence of alternative definitions of justice, Kumkum Roy in her essay « Justice in Jātaka » has drawn attention how « the Jātakas often offered alternative endings to stories/problems which were apparently identical » (39). This unique strategy of challenging the normative, monolithic, and hierarchical structures, and containing and co-habiting the Other instead of entering into a Hegelian compulsion to overpower and annihilate the other in order to survive is replicated in Intizar Husain’s stories. Thus stories delineating same situations are offered two different often opposite endings. Thus the bird which did not leave the burning tree is wise in Basti but a fool in the story in the story « Leaves ». Most often Husain’s stories refrain from offering any resolution at all. This incompleteness is yet another approximation of the Jātakas. The quest for meaning is an eternal quest. Constant self-doubt, recurrent re-view of one’s ideas, inconclusiveness, allows the possibility of re-checking all hypotheses. It erases the polarity of truth and untruth, right and wrong, for every abstract truth is based on perceptions rooted in specificities and hence must be re-tested, every premise re-checked. In this way, the gap between the mythos and logos is bridged. 30Never rattled by the upheavals caused by the wheel of history the Buddha, according to Intizar Hussain, tells stories. His stories, drawn as they are from the experiences of his past lives, together may be called his life-history. But first and foremost they are stories. All lessons of morality or other elements are purely incidental to them. Like his Buddha, Intizar Husain’s stories too, which we may call Husaini Jātaka, and which like Buddha’s birth stories may be read like a circular novel, are first and foremost stories. Elements of nostalgia, engagements with the vexed and knotted histories of Hindus and Muslims and the understanding of Muslim identity are only one facet of them. As in Buddhist Jātakas, by diving into these labyrinths and narrativising the moral crisis of modern man born out of historical and political exigencies, Husain attempts to prefigure a moral life in a morally barren universe by « cultivating a capacity of imagination and appealing to our sense of sympathy and empathy »., configures it with reference to contemporary ethos and hopes to refigure it by deploying the transformative potential of the narrative6. Appleton Naomi, Jātaka Stories in Theravada Buddhism: Narrating the Bodhisattva Path, Farham, Ashgate, 2010. Barthes Roland, « Introduction to Structural Analysis of Narratives », in Image-Music-Text, trad. Stephen Heath, London, Fontana, 1977, p. 79-124. Davids T. W. Rhys, Buddhist Birth Stories, Vol. I, London, Trubner & Co. Ludgate Hill, 1880. Hallisey Charles, Hansen Anne, « Narrative, Sub-Ethics and the Moral Life: Some Evidence from Theravada Buddhism », The Journal of Religious Ethics, 1996 vol. 24, no 2, p. 305-327. Hasan Mushirul, « Partition Narratives », Social Scientist, 2000, vol. 30, no 7/8, p. 24-53, Available on: <http://www.jstor.org/stable/3518150>, Accessed: August 30, 2015. Husain Intizar, « An Unwritten Epic », trad. Alok Bhalla, Vishwamitter Adil, in Stewart Frank, Farrukhi Asif, Zaidi Nishat (éd. ), Story is a Vagabond, Honolulu, University of Hawai’i Press (coll. « Mānoa » vol. 27, no 1), 2015, p. 1-16. Husain Intizar, « Circle », trad. Moazzam Sheikh, in Sheikh Moazzam, Circle and Other Stories, Delhi, Rupa & Co., 2004, p. 85-89. Husain Intizar, « Leaves », in A Chronicle of Peacock and Other Stories, trad. Alok Bhalla, Vishwamitter Adil, New Delhi, OUP, 2002, p. 59-78. Husain Intizar, « Monkeys », in Leaves and Other Stories, trad. Alok Bhalla, Vishwamitter Adil, New Delhi, Indus, 1993, p. 103-114. Husain Intizar, « Naye Afsanananigar Ke Nam », in Kachhue, New Delhi, Radhakrishna Prakashan, 2000 (Translations are mine). Husain Intizar, « Qayyuma’s Shop », trad. Moazzam Sheikh, in Stewart Frank, Farrukhi Asif, Zaidi Nishat (éd. ), Story is a Vagabond, Honolulu, University of Hawai’i Press (coll. « Mānoa » vol. 27, no 1), 2015, p. 17-30. Husain Intizar, « Reason and Purpose of the Jātaka Stories », trad. Nishat Zaidi, Alok Bhalla, in Stewart Frank, Farrukhi Asif, Zaidi Nishat (éd. ), Story is a Vagabond, Honolulu, University of Hawai’i Press (coll. « Mānoa » vol. 27, no 1), 2015, p. 230-232. Husain Intizar, « The Boat », in A Chronicle of Peacock and Other Stories, trad. Alok Bhalla, Vishwamitter Adil, New Delhi, OUP, 2002, p. 79-91. Husain Intizar, « Return », in Leaves and Other Stories, trad. Alok Bhalla, Vishwamitter Adil, New Delhi, Indus, 1993, p. 211-225. Husain Intizar, « The Stairway », trad. Mohammad Umar Memon, Indian Literature, 1976, vol. 19, no 6, p. 87-102. Husain Intizar, « Tortoise », in A Chronicle of Peacock and Other Stories, trad. Alok Bhalla, Vishwamitter Adil, New Delhi, OUP, 2002, p. 59-78. Husain Intizar, Akhiri Admi, Lahore, Kitabiyat, 1967. Husain Intizar, Basti, trad. Frances W. Pritchett, éd. Mohammad Umar Memon, New Delhi, OUP, 2007. Husain Intizar, Janam Kahaniyan, Lahore, Sang-i-meel Publications, 1987. Husain Intizar, Shahr-e-Afsos, Lahore, Maktaba-i-Karwan, 1973. Husain Intizar, « Introduction », in Husain Intizar, Farrukhi Asif, Pakistani Kahaniyan, Lahore, Sang-i-Meel Publications, 2000. Memon Muhammad Umar, « The World of Intizar Husain: An Introduction », in Memon Muhammad Umar, Seventh Door and Other Stories, Boulder/London, Lynne Reinner Publishers, 1998. Qazi Javaid, « The Significance of Being Human in Intizar Husain’s Fictional World », Journal of South Asian Literature, 1983, vol. 18, no 2, p. 187-191. Roy Kumkum, « Justice in the Jātakas », Social Scientist, 1996, vol. 24, no 4/6, p. 23-40. White Hayden, The Content of the Form: Narrative Discourse and Historical Representation, Baltimore/London, John Hopkins University Press, 1987. Winquist Charles, E, « The Act of Storytelling and the Self’s Homecoming », Journal of the Academy of Religion, 1974, vol. 41, no 1, p. 101-113. 1 A leading Urdu critic and translator, Mohammad Umar Memon comments on Husain’s response to Partition violence, « One question preoccupied his (Husain’s) thoughts: how can such brutality come out of a man? He did not pose the question as a Muslim, but neither did he pose it as a Hindu. And certainly not in political terms. He posed the question in anthropological terms » (« The World of Intizar Husain: An Introduction » 10). 2 See « The Significance of Being Human in Intizar Husain’s Fictional World » by Javaid Qazi and « The Lost world of Intizar Husain » by Salimur Rahman. Linda Jennifer Wentink in her dissertation « The Modernist Movement in Urdu Fiction in India and Pakistan » submitted to the University of Arizona has also discussed these phases. She talks about the ways in which the imposition of dictatorship in 1958 impacted Intizar Husain’s writings and changed his perception about the new nation. Available online <https://www.jstor.org/stable/40872623>, Accessed: May16, 2016. 3 The Avadana signifies great religious or moral achievement. It consists of a story of the present, a story of the past and the closing comments of the Buddha is which he draws moral from the story. Jātakas are those avadanas in which the hero of the story of the past is a Bodhisattva. That is why Jātakamala is also called Bodhisattva Avadanamala. 4 Intizar Husain has been accused by his critics for his reproduction of ancient literatures such as Jātakas, or stories from Singhasan Battisis etc. Husain was well aware of this criticism and spoke about it in his essays and interviews and mocked at such a view. « There is one fear that when I write Jātaka, you may say that this man repeats himself… Buddha also repeats himself » (130). 5 « I recollected my manifold past lives that is to say one birth, two, three, four, five births, ten, twenty thirty, forty fifty births, as hundred births, a thousand births, many agaes of world contraction, many ages of world expansion, many ages of world contraction and expansion: « I was there so named, of such race, with such an appearance, such food, such experience of pleasure and pain, such a life term … an passing away hence I reappeared here’- thus with details and particulars I recollected my manifold past life. This was the first true knowledge attained by me in the first watch of the night » (44). 6 I have drawn these from, « Narrative, Sub-Ethics and the Moral Life » by Charles Hallisey and Anne Hansen. Nishat Zaidi is Professor in Department of English, Jamia Millia Islamia, New Delhi. Her research interests include postcolonial writings, Indian literatures in English translation, Comparative Literature and Feminist Studies. A scholar, critic and translator, her recent publications include Story is a Vagabond: Intizar Husain (Manoa special issue co-edited with Frank Stewart, Alok Bhalla and Asif Farrukhi; reprinted by Oxford University Press Pakistan), Makers of Indian Literature: Agha Shahid Ali (Sahitya Akademi, 2014), Between Worlds: The Travels of Yusuf Kambalposh (OUP, 2014 with Mushirul Hasan), Pencil and Other Poems (Tr. Sahitya Akademi, 2014), A Voyage to Modernism: Syed Ahmed Khan (Primus, 2011; co-author: Mushirul Hasan), Makers of Indian Literature: Makhdoom Muhiuddin (Sahitya Akademi, 2009), and Ghalib Aur Unka Yug (Sahitya Akademi: 2008).